A few years ago, the great Niran Babalola and I dreamed up a news app that included all inmates and prison units in Texas. We built it because the state’s database was perpetually down, and we thought the public — victims, prosecutors and inmate families, especially — should have a reliable view inside their state’s prison system. 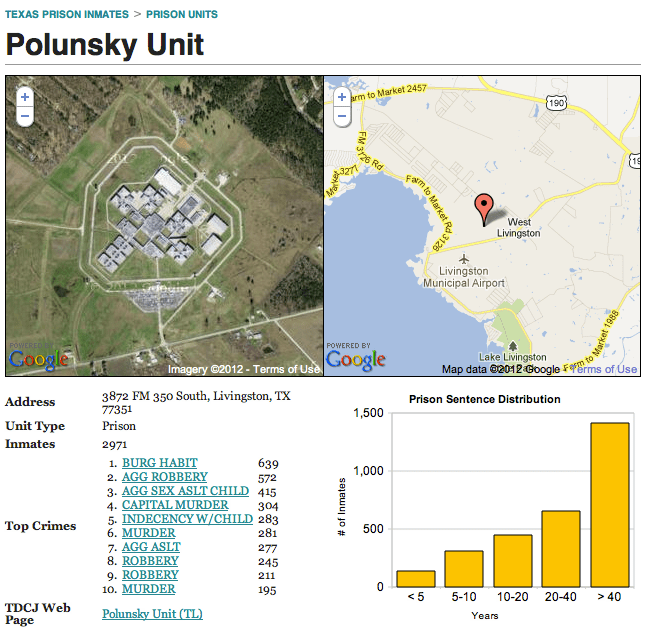 One of my favorite features was a Google satellite image of each prison unit. The United States is the prison capital of the world. This is not news to most people. When discussing the idea of mass incarceration, we often trot out numbers and dates and charts to explain the growth of imprisonment as both a historical phenomenon and a present-day reality. But what does the geography of incarceration in the US actually look like? Prison Map is my attempt to answer that question.